Influencer marketing is the process of marketing your product or service to specific individuals that can impact your wider target customers. The ultimate goal is to leverage their influence to help grow your business. The idea of using influencers to market a product or service is not new. Matter of fact, most commercials include influencers (professional athletes, movie stars, etc). Unless your business has a multi-million dollar budget these influencers are unfortunately off limits. Luckily a new and affordable wave of influencers has arrived. These people have a smaller reach, but their influence is extremely strong within their niche. Think about your favorite blogger for example. Chances are you trust their opinion and would be more likely to buy a product or service that they recommended. Influencer marketing is leveraging the trust influencers have to help grow your business and gain credibility. For more information on influencer marketing, click here. Now that you understand what influencer marketing is, it is time to find the right influencers for your brand. The first step is to define who your target customer is. Most businesses already have this defined, so this step should be quick. Even if your product or service has mass appeal, try to narrow down your target as much as possible. The narrower your target market, the more personalized and relevant you can make your content messaging. What makes an influencer right for you business? It really comes down to three things: reach, relevance and resonance. Avoid choosing an influencer based on just one of the criteria. You will find the most success if you can find influencers that align with your goals in all three areas. Reach: How many people will see their message? What draws big brands to celebrities like LeBron James or Taylor Swift is their massive reach. Typically more reach leads to less relevance and resonance. Relevance: How closely aligned is your business’s target market with the influencers’ audiences? When your product or service is aligned well with an influencer’s audience, it will resonate with them and lead to success. Resonance: Is your product or service important to the influencer and/or their audience? Relevance and resonance work hand in hand. Study the most successful influencer marketing campaigns and you will notice one thing they all have in common, a perfect combination of reach, relevance and resonance. Buzzsumo can help marketers to find relevant content, improve their headlines and much more. It also happens to be a great tool for finding influencers. One easy way to do this is to search keywords related to your industry and evaluate the authors of the articles that come up. Buzzsumo provides data about how many times a post was shared, who backlinked to it, etc. By mining through this data you can find plenty of potential influencers. Started in 2008, Klout is a tool that ranks online social influence using what they call a “Klout Score.” Experts have been split about the credibility of Klout’s rankings, but from our experience Klout can help. We recommend you use it as a starting place, but do not trust it as your decision maker. Instead use Klout as a way to create a pool of potential influencers and then do more research to narrow the list down. Remember, popularity and influence are not the same thing. Klout has a hard time taking this into account when dealing with more niche influencers, so consider a more in-depth tool, like LittleBird. LittleBird, with backing from Mark Cuban and other tech industry leaders, is an influencer marketing tool that has one main purpose: to find you the best influencers to grow your business. This tool is extremely powerful and in the month that we test drove it, we were extremely impressed. What was most impressive was the variety of influencers LittleBird was able to find. Many tools can find and return the ‘popular’ influencers, but what about the niche blogger that has less reach, but enormous influence? LittleBird is the answer. The only downside is the price. Even if you can’t ultimately afford the tool, we suggest you sign up for a free trial and at least see what it is capable of. Once you have identified your target influencer(s), start monitoring their daily activities. Keep an eye on what type of content they are posting, what is resonating best with their audience, etc. Many businesses skip this step and jump directly to reaching out to influencers, which greatly lowers their chance of success. The monitoring stage helps businesses to get to know potential influencers and hopefully make creating a long term relationship easier. Now that you have monitored your potential influencer(s) and are confident of their alignment with your brand and needs, it is time to start building a relationship with them. Again, many businesses skip this step and jump directly to reaching out to influencers about partnership. It is important to first create a relationship long before you ever discuss the potential of partnership. Thanks to the monitoring stage, you should now have a better understanding of what the influencer likes, who their audience is, etc. Use this to your advantage. Engage with them by joining conversations, recommending content you think they will enjoy or sharing their content. Once you have formed a relationship you will finally be ready to discuss partnership. There is no perfect recipe for success when approaching influencers, but we came up with a few tips to increase your chances of success. 1. Make It Personal: A generic email sent to 25 influencers at once might save you time, but the benefits will end there. Influencers are bombarded with offers on a daily basis. If you want to stand out you should personalize your message as much as possible. Make it clear that you have done your research and know the partnership is a perfect fit for both sides. 2. 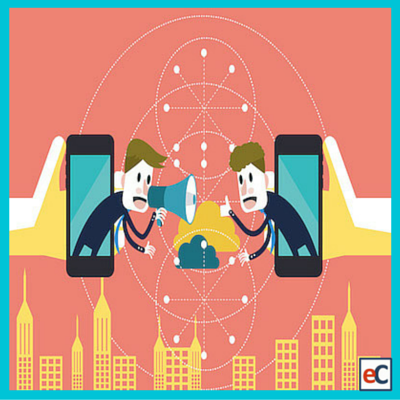 Make It Beneficial For Them: Influencer marketing is highly beneficial for businesses, but it should also be beneficial for the influencer. For example, a business could offer an influencer early access to their product. When the influencer writes about or advocates for that product, their influence can increase. This is due to the fact they have access to something that does not exist yet, which makes them a go-to resource for industry news. To increase the chance of an influencer partnering with your business, make sure you clearly define the benefit(s) in it for them. Otherwise you are just another business trying to use them to grow. 3. Strive For Long Term Relationships: The best influencer marketing is a result of long-term relationships. The mistake many businesses make is approaching influencer marketing as a short term solution. On the contrary, the benefits of influencer relationships increase over-time. Businesses should focus, from the beginning, on creating a lasting relationship with influencers that can benefit both sides for months and/or years to come. With a long-term approach, taking time to monitor and engage influencers, like we recommended earlier, begins to make more sense. 4. Smaller Can Be Better: When given the choice between a person with 300,000 social media followers and one with 3,000 followers, most businesses would choose the person with 300,000 followers without a second thought. This could be a major mistake. Typically influencers with larger reach have less influence and vice-versa. You should consider reaching out to influencers with a smaller total following, but extreme influence within their niche. When it comes to influencer marketing, bigger is not always better. Has your company partnered with influencers in the past? What tips or tricks do you have for finding the right influencer(s)? Let us know in the comment section.